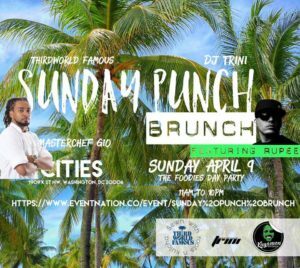 Washington DC’s most popular brunch party ! A brunch dine-in multi-course affair designed by the award winning master chef Giovanni Merle the most acclaimed Mauritian/French holistic cannabis culinary experts. Each dish will highlight the passion and tradition of fine international island cooking with specially selected island dishes. Enjoy five unique and delicious courses each paired with a specially selected herbs and spices.. This is an Initiative 71 compliant Cooking demo and featuring Washington DC’s most exclusive Edibles Artists and holistic Cannabis consultant for adults age 21+.